Want it by Thursday 25th April? Order within 4 days, 15 hours, 39 minutes and choose Royal Mail Tracked 24 Hour at checkout. 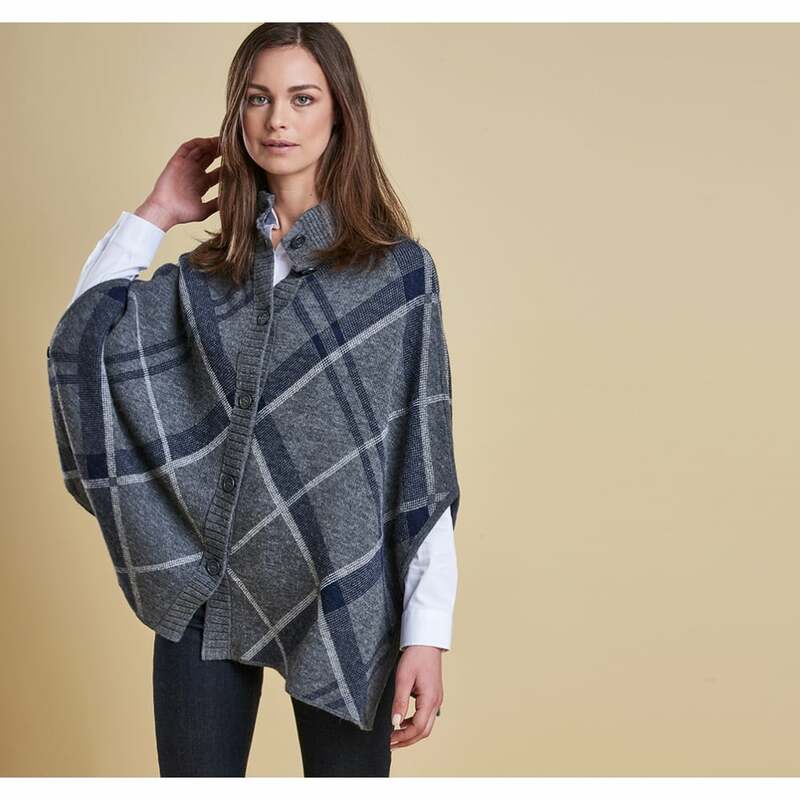 This Tartan pattern cape is crafted from an alpaca blend to create the softest feeling to this beautiful cape. A stand collar provides extra warmth and combined with the button front creates a smart appearance. Elegantly styled this piece features birds-eye back jacquard and classic Barbour branding.